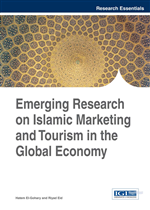 This chapter examines the motivations and willingness to boycott of Malaysian Muslim consumers. Based on an ongoing boycott incited by the Palestinian-Israeli conflict in the Middle East, the boycott movement targets American-originated firms operating in Malaysia. To examine the factors, two firms were selected based on their market presence, consumer familiarity, and product affordability. In total, 577 questionnaires were distributed to Muslim university students, and the results were validated through Partial Least Squares-Structural Equation Modeling (PLS-SEM) approach. Three factors were found to be significant in predicting the willingness to boycott; they were self-enhancement, perceived egregious behavior, and country image. This chapter addresses boycott motivations from the context of Malaysian Muslims quantitatively, based on an international issue strongly related to Muslims. The results may have some implications on multinational firms, non-government organizations, policymakers, and consumers. The phenomenon of consumer boycotts has been in existence in the marketplace, menacing businesses and organizations ever since more than a century ago (Smith & Li, 2010). However, the rightful and deserved attention in understanding consumer boycotts were acknowledged by academicians and researchers only within the last past decade. Consumer boycott is a form of economic as well as social threat that may threaten the brand image (Klein, Smith & John, 2004) and corporate image of a firm (Lindenmeier, Tscheulin & Drevs, 2012) on a smaller scale. However, on a larger scale, consumer boycotts if not carefully dealt with, may affect the host country’s economy and its image. As such, the threats and occurrences of boycott can possibly upset the efforts in attracting and retaining investments in a country. Consequently, it is suffice to state that boycott is a situation where marketers, businesses, organizations or firms would want to avoid at all cost (Klein et al, 2004). Based on previous empirical researches, there are various psychological (Klein et al, 2004; Smith & Li, 2004) and social motivations underlying a boycott; as the nature of boycott is diverse (Friedman, 1985). Nonetheless, boycotts are often used widely as a “coercive marketplace tactic” (John & Klein, 2003) to achieve certain instrumental or expressive goals (Friedman, 1985). Friedman (1985, pg. 97) has defined boycott as “an attempt by one or more parties to achieve certain objectives by urging individual consumers to refrain from making selected purchases in the marketplace”. This fundamental definition has been frequently quoted, referred and used as a basis by numerous boycott studies (Smith & Li, 2010; Farah & Newman, 2010; Knudsen, Aggarwal & Maamoun, 2008; Klein et al, 2004; and Sen, Gurhan-Canli & Morwitz, 2001). Adding further, John & Klein (2003, pg. 1198) described that a boycott occurs “when a number of people abstain from purchase of a product, at the same time, as a result of the same egregious act or behavior, but not necessarily for the same reasons”. Refining the boycott definition as written in The Dictionary of American History,Friedman (1985) argued and unveiled that the scope of boycott does not limit to “unfair employment and trade practices” but goes beyond as both items if stood alone “fail to encompass the wealth of activities revealed in the survey findings” (pg. 115). Boycotts are happening not only in the Western world, but also increasingly prevalent in the Asian region including Malaysia. Malaysia, predominantly populated by Muslims is a multi-ethnic, multi-cultural and multi-religion country located in the South East Asia. The proportion of religion in Malaysia is approximately 61.3% Muslims, 19.8% Buddhists, 9.2% Christians and 6.3% Hindus (Census Department Malaysia, 2011). At the height of the second Palestinian intifada in 2008, a boycott was established based on the alleged direct and indirect involvement or support extended by American and Western firms to Zionist Israel in their atrocities against Palestine (Abd-Razak & Abdul-Talib, 2012). The ongoing boycott campaign was supported by an alliance of more than 50 Malaysian non-government organizations (NGO) formerly known as ‘Coalition of Malaysian NGOs against the Persecution of Palestinians’, or in short, COMPLETE. Now the coalition is known as Viva Palestina Malaysia (VPM), strongly advocates and promotes the boycott in tandem to their ultimate mission – ending the Palestine–Israel conflict to achieve freedom and independence of Palestine.